The vibrant 10-ply Purple Tinsel is 2 1/2 -metres in length and is perfect for adding colour and dazzle to the spaces of your home this holiday. 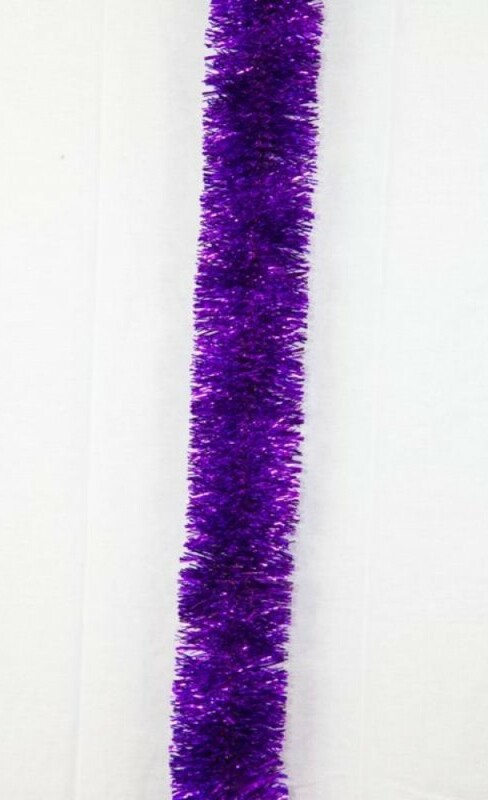 This tinsel garland is full and lush- not to mention, it is in the most captivating, rich violet colour. This garland is easy to use and will help you to create dramatic accents around the home; drape it around windows or doors, use this to adorn a mantle, or wrap it around the boughs of your Christmas tree. Enjoy pairing this beautiful tinsel with your favourite ornaments, or pair with silver or gold for a distinctive holiday look that will be admired by all who see it. This purple tinsel is a natural when you use it in conjunction with the purple shatterproof baubles, which are also offered and sold separately.